Running a successful small business is one of the hardest things in the world. Whether it’s a 5 person, fledgling law firm or a catering business run out of your kitchen, keeping small business afloat in this current competitive market comes with it’s own set of challenges. Most small business ventures are typically the brain children of individuals already living with an innate sense of drive and passion, but can’t bare the thought of being one minor cog in a giant corporate machine. Their ambitious spirit encourages them to take risks in order to achieve the greatest reward- being your own boss. The road ahead to accomplish such a lofty goal is a rocky one, and often times the trails and tribulations associated with the road bumps frequently outweighs the victories. Statistically, four out of five small businesses fail, and I would be willing to bet I know the reason why. Creativity, resourcefulness, and resilience has nothing to do with it. You can have all those things in spades, but it makes no difference if you don’t have the proper entrepreneurial skills required in order to develop a successful small business. These necessary tools will not only serve as the fundamental foundation to help your company get ahead, but they will also provide your business with a sense of security and stability, taking it from small fledgling business to a well established corporate institution. Even if you graduated with a degree in business, if your desire is to start a small business, you will need all the help you can get when it comes to strategizing the proper business plan of attack. 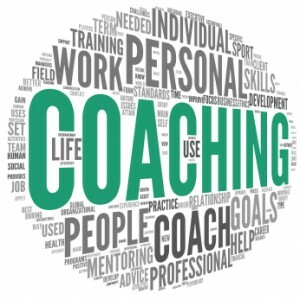 Coming to me for corporate coaching and/or and executive coaching will truly awaken your entrepreneurial spirit by significantly decreasing your rate of failure, and ultimately saving you millions of dollars and grief. You have the drive. You have the instincts. Now, all you need is a helpful push in the right direction. That’s what I’m here for. Together we will clearly define your goals and expectations for your endeavor, whatever it may be, and then we will achieve them. If your desire is to succeed, I know the way. Call my office and make an appointment today (212) 599-3195. This entry was posted in corporate coach, executive coaches, Life Coach, life coach new york and tagged business coaching, corporate coaching, entrepreneurs, executive coaching, life coaching, small business by Dr. Errol Gluck. Bookmark the permalink.